You’ve killed a few squirrels, and now it’s time to prep them for cooking. Here are the steps to making quick work of the process. I grew up squirrel hunting, but one thing I didn’t learn was a way to clean squirrels that didn’t end with picking hair off the carcasses. My dad taught me to cut a hole in the back of a squirrel’s hide, stick my fingers in the hole and pull in opposite directions — the same way rabbits skin out. 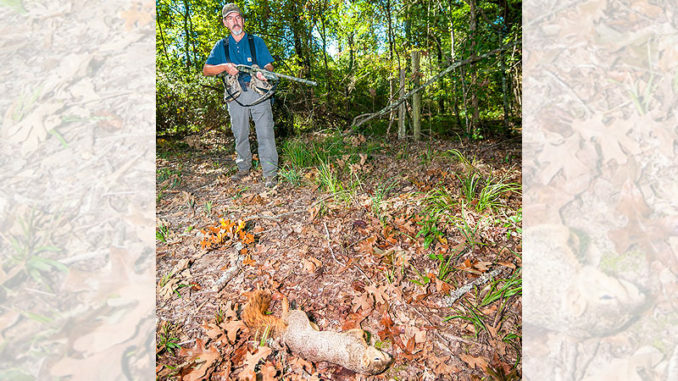 The problem is that squirrel hides are much tougher than that of rabbits, so it’s almost impossible to follow that method without hair tearing off and getting all over the meat. My father-in-law Jean Fairchild, who is a squirrel-hunting fanatic, laughed at me (just before he told me I didn’t know anything) when he watched me tugging at a squirrel. Instead, he uses a method that’s much quicker and results in not a hair on the carcass. I haven’t squirrel hunted much in years, but I was reminded of my pop-in-law’s technique when hunting with Keith LaCaze. 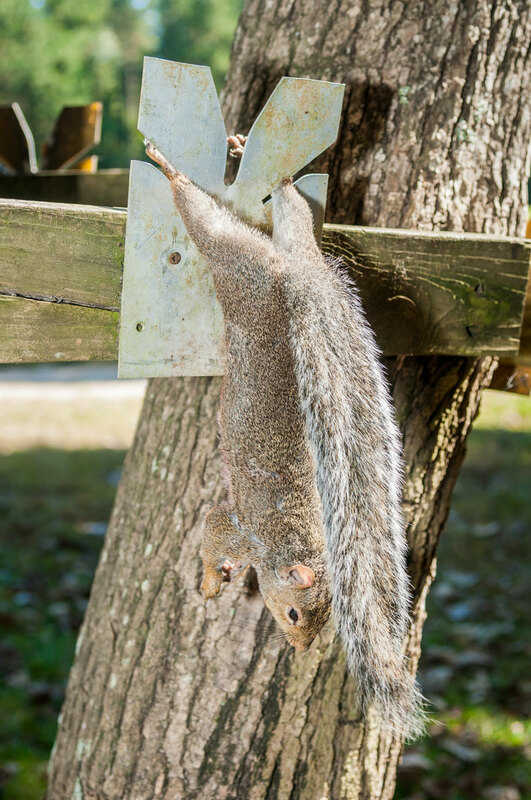 Here are the steps for easily, quickly and cleanly snatching the hide off of a squirrel. 1) Place legs of squirrel in squirrel skinner, with back facing outward. 2) Pull some hair off the skin at the base of the tail, and then make a cut at the base of the tail. 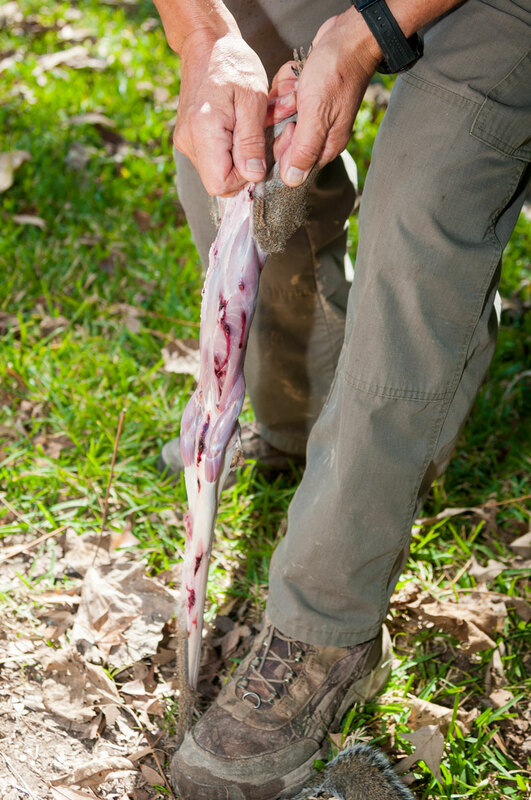 Cut between joints of the tail bone and twisting to break the tail bone. 3) Carefully skin down the back of the squirrel a few inches. 4) Step on the tail of the squirrel, hold the back legs and pull upward. 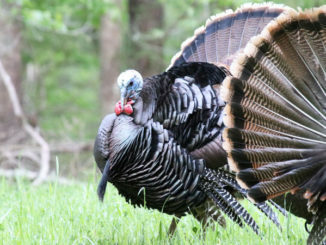 The front portion of the hide should pull down past the front legs. 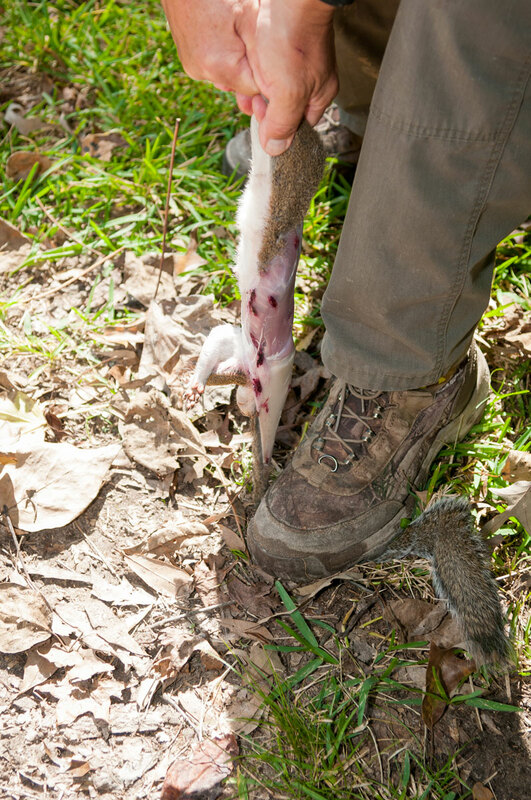 5) With the tail still beneath your foot, grasp the tag of skin still attached to the belly and pull upward to pull the rear portion of hide past the squirrel’s rear legs. 6) Pull hide as far down the front and rear legs as possible. This will also expose most of the head (if you want to keep the head). 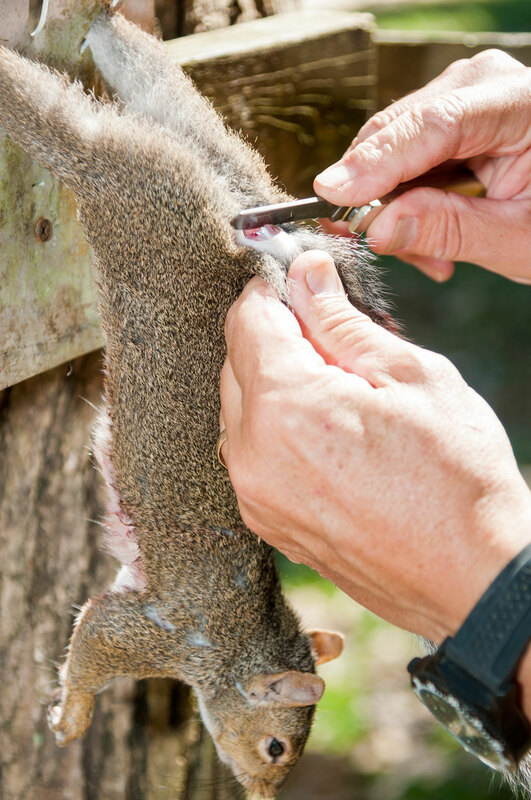 7) Place squirrel back in squirrel skinner or hang on a nail, and gut the carcass. 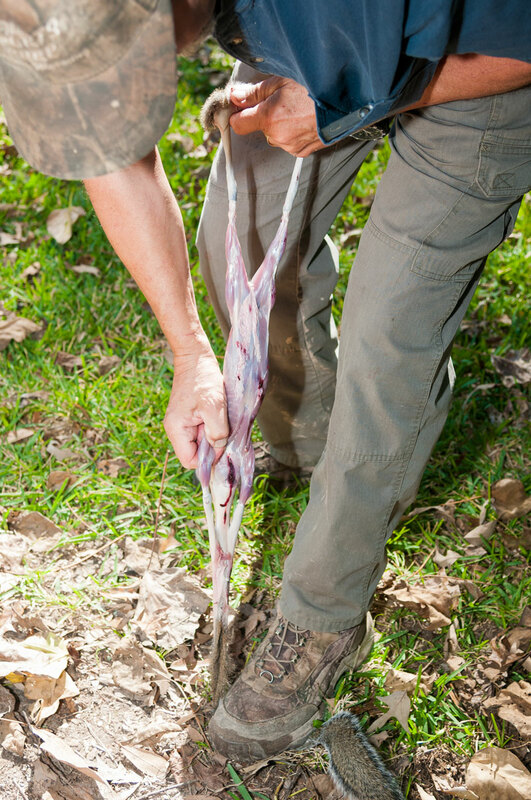 Then clip the legs with a pair of pruning shears.